Hampton Inn Lake Havasu City is located right across from Lake Havasu and about a mile from the launch ramp and Lake Havasu Museum of History in Lake Havasu City, Arizona. This smoke-free hotel features an on-site outdoor pool and fitness center as well as serves a free breakfast buffet each morning. Recreational activities in the area include golfing, sailing, kayaking, water skiing, rafting, hiking, biking, and boat tours. Start your day strong with an energizing full breakfast from the buffet in the lobby, or if you are in a hurry, grab a Hampton On the Run Breakfast Bag packed full of great and healthy treats and free for guests. In the evening, after a refreshing swim at the pool and a heart pumping workout, kick back and relax in your signature Clean and Fresh Hampton bed while using the handy lap desk to finish work, watch crystal clear cable television, or surf the net with complimentary WiFi access. Enjoy your perfect and serene surroundings, this hotel is set right across from beautiful Lake Havasu where you'll find beautiful scenery and great water activities. 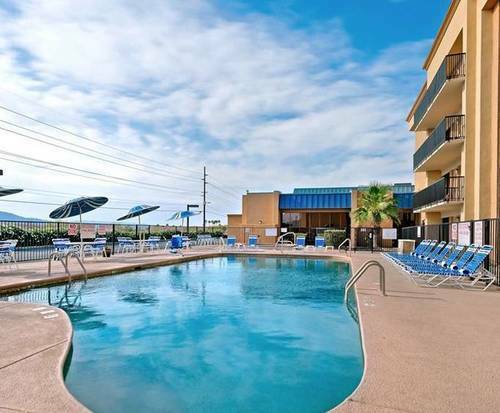 This hotel features an ATM, a business center, free airport transportation, express check-in/out services, laundry facilities, free parking, and a hot tub. Guest rooms include climate control, coffeemaker, toiletries, free newspapers, housekeeping, free local calls, microwave, and a refrigerator. 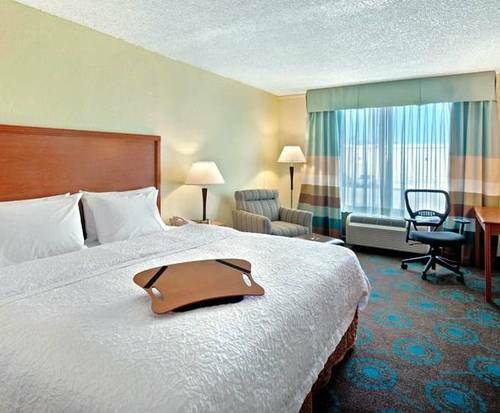 Premium TV channels, cribs, adjoining rooms, dry cleaning, and conference/meeting spaces are also available. 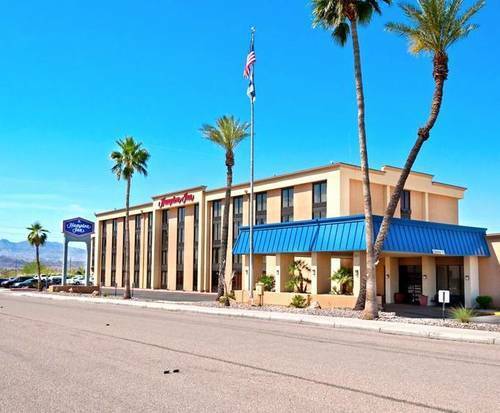 Set on beautiful Lake Havasu, this hotel is near great spots like Windsor Beach, London Bridge, Havasu Regional Medical Center, Aquatic Center, and Lake Havasu State Park. Numerous restaurants are near the hotel including Cha-Bones, Angelina's Italian Kitchen, and In-N-Out Burger.